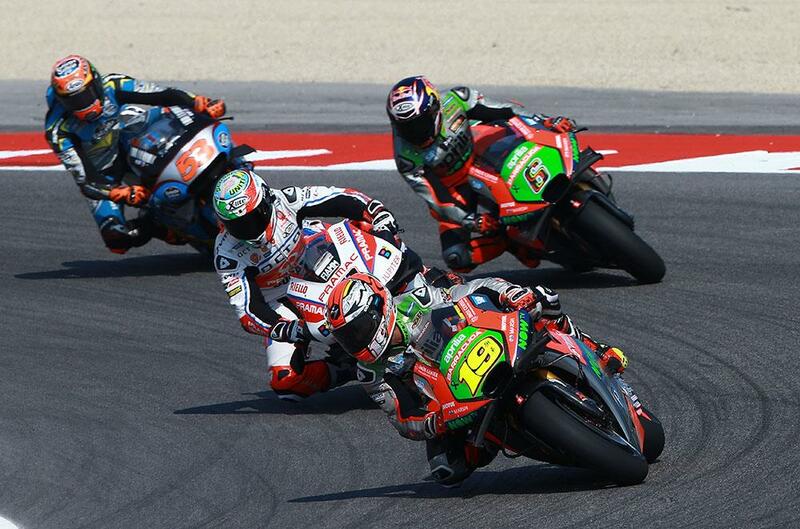 The Aprilia racing squad of Alvaro Bautista and Stefan Bradl have been left delighted with their home pace, making the most of their experience testing at the Misano circuit to take an impressive tenth and twelfth at last weekend’s San Marino Grand Prix. And, with a slew of new chassis and engine components in recent weeks for the squad, Aprilia racing boss Romano Albesiano says that the results in front of home fans help justify the amount of effort the tiny Noale racing department put into the project. “It was a positive weekend from Friday. We achieved a good pace straight away with close gaps and consistently good positions. The race confirmed Alvaro's great quality in terms of pace and Stefan also rode a very positive race. My compliments to our riders! The bike is maturing in many of its aspects, especially in terms of chassis settings. However, speaking after the race, Bautista was left frustrated, convinced that if not for issues in the opening laps he could have finished even higher. “I am happy because we rode a good race and had a good weekend. We knew that, despite going through to Q2, it would be a hard battle to get into the top ten and that is our goal. I started well, but in the second lap I lost a few positions because of contact with another rider, so I had to push hard to come back. Then, in the first laps, I had a strange feeling with the rear tyre. We don't know why, but the bike slid around a lot. “Then the situation went back to normal and I was able to maintain a good pace. I battled with Stefan and Petrucci, but once I overtook them I was able to pull away without any problems and I held my pace until the end. This was a decidedly positive weekend.